507 The Boulders - Ballito Central Accommodation. 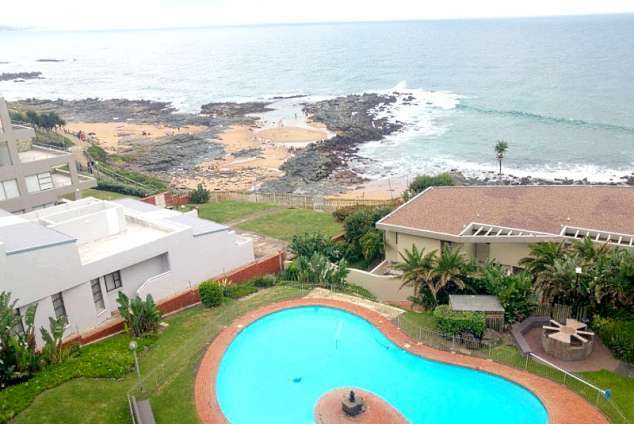 Situated in an apartment block on the beautiful Ballito beachfront, Boulders boasts some of the most magnificent views of the North Coast of KwaZulu-Natal. Ideally situated and offering holiday makers perfect convenience, Boulders is close to the beach, shopping centres and other popular amenities in Ballito. The comfortably furnished flat sleeps six people with 3 bedrooms and two bathrooms. One en-suite bathroom is the off the main room with shower and toilet while the other bathroom is equipped with a shower, basin and toilet. The main bedroom is furnished with a double bed and the other two bedrooms contain two single beds each. There is also a lock up safe for your valuables and convenience. Drift off to sleep at night with the melody of the North Coast waves, what could be more relaxing? This Boulders apartment boasts a fully equipped open plan kitchen, complete with microwave, stove, fridge and oven. Perfect for entertaining while on holiday at the coast. A stunning balcony leads off the lounge and offers visitors a panoramic view of the Ballito beachfront, promenade, right through to Salt Rock. For those of you who would prefer a dip in the swimming pool, the complex has a fully fenced off pool area and a communal braai place - what would a holiday be without a braai? The Boulders in Ballito offers holidaymakers all they could ask for in convenience, comfort and choice. We look forward to welcoming you. 2840 page views since 16 Mar, 2018. Last updated on 16 Mar, 2018.